This is an entertaining street-level look at how crimes are really committed in America's cities. Chris and Animal use their NY–L.A. 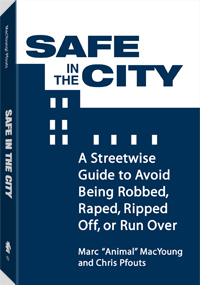 experience to help you learn the games carjackers, muggers, "gangstas," rapists, junkies and conmen play - and how to avoid them.